The fall season just around the corner and this is an indication of the beginning of wedding season. Since the weather is pleasant during this season, it is an ideal time to tie the knot with the special one in your life and give your relationship a new name. For planning your wedding in the fall season, start the preparation for the D-Day without wasting any time. It is advised to get everything ready, including your wedding dress and wedding rings in advance to avoid last minute chaos. Pay special attention to your wedding jewelry in particular. Apart from wedding rings, there are numerous other jewelry pieces adorned on the wedding day by the bride to look her best. When buying wedding jewelry, the most important thing you need to consider is your wedding dress. Right from its fabric, cut, neckline, and colors, everything must be scrutinized and jewelry including wedding rings must be purchased accordingly. Not paying importance to these aspects will get you nothing but mismatched jewelry that will emerge out as a sore spot in your wedding attire. This is something that no bride would ever want; hence, buy your wedding dress first and purchase jewelry keeping its numerous factors into the consideration. From Dec to Feb, it is called “wedding season”. 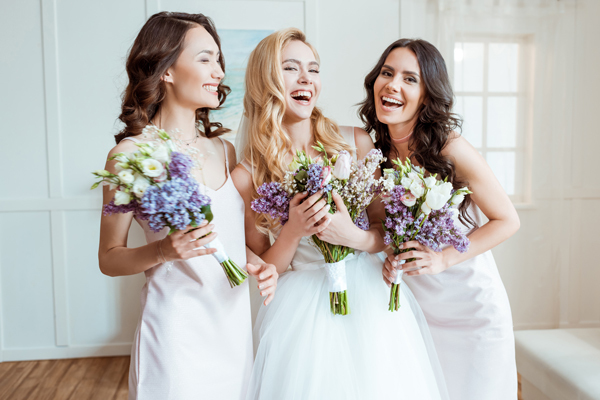 If you don’t know how to select wedding accessories for your best friend’s big day, Jeuliablog will give you some suggestion. Different weddings have all types of dresscodes, themes or even footwear requirements, but wedding accessories wearing should always keep the same rule – don’t overdo it! The bride and groom is the center on the big day, so there’s no need to overdress or over-glitz, but that doesn’t mean you can’t pull together a beautifully accessorized outfit.